The Board of Control for Cricket in India on Wednesday announced three standbys for the upcoming World Cup 2019. 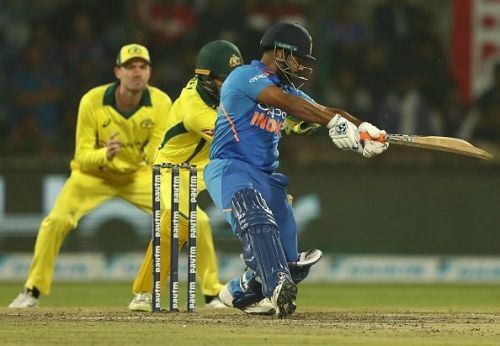 Wicket-keeper Rishabh Pant and batsman Ambati Rayudu have been named the first and second standby players while pacer Navdeep Saini is the third standby for the mega tournament. After a lot of deliberations, the Indian selection committee headed by MSK Prasad named the 15-man squad that will travel to England in May for the World Cup. The squad gave rise to a lot of discussions as there were a few surprise exclusions like Pant and Rayudu. The former had made the headlines after his swashbuckling outing in Australia earlier this year while the latter was in the scheme of things for a while. Apart from fans and pundits, several former cricketers questioned the selection panel for leaving these two out the squad. Rayudu himself came up with a 'reactive' tweet, supposedly trolling the selectors for their decision. However, on Wednesday, BCCI confirmed that both Rayudu and Pant can come up as replacements in case there are any injuries. Both have been named in the standby list alongside exciting young seamer Navdeep Saini, who has been quite impressive in domestic cricket recently. "Just like ICC Champions Trophy, we have three standbys. Rishabh Pant and Ambati Rayudu are the first and second standbys while Saini is the bowler in the list. So if anyone gets injured, as per requirement, one of the three will be going," a senior BCCI official was quoted as saying by Times of India. "Khaleel, Avesh and Deepak are not designated standbys. In case of bowlers, that possibility is there but when it comes purely to batsmen, it will be either Rishabh or Rayudu," the official added. All the Indian cricket team players are presently busy playing in the Indian Premier League (IPL). Many of the crucial members of World Cup squad are expected to skip the last phase of IPL, in order to keep themselves fully fit and fresh ahead of the all-important event.